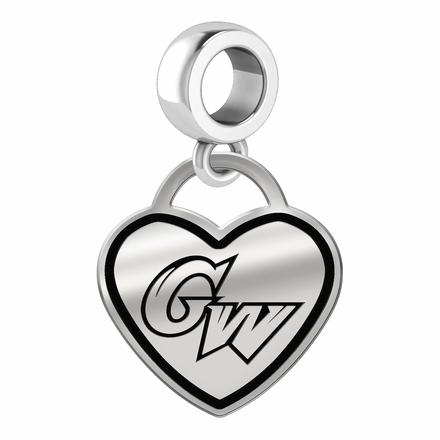 George Washington Colonials Heart Dangle Charm. George Washington Colonials charms can be worn on a chain or dangle them from a bracelet. Our charms have the finest detail and are the highest quality of any charm or pendant available. 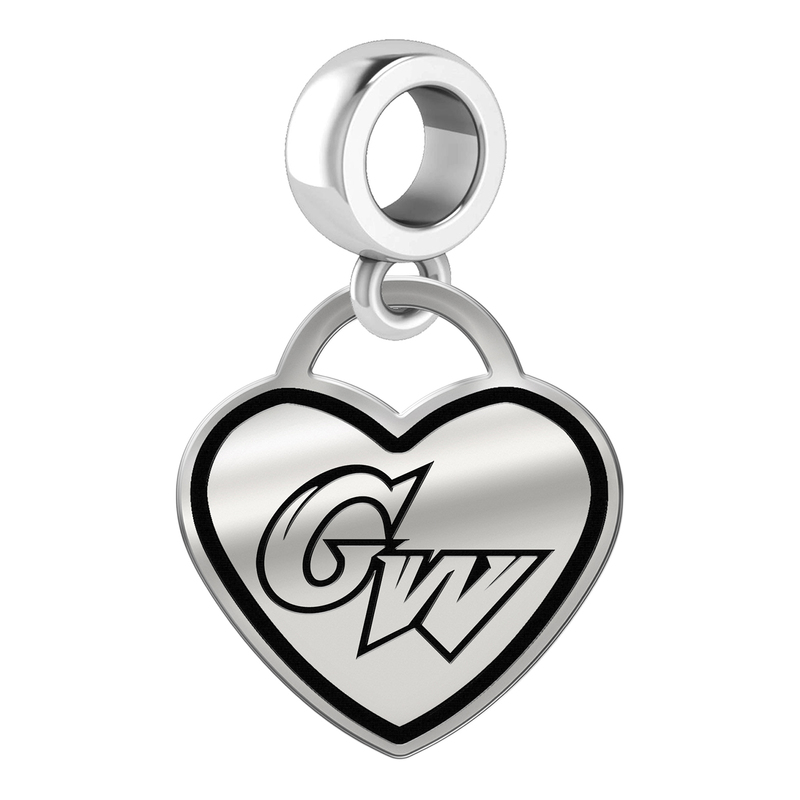 This new twist on our original heart dangle charm adds a border around the inside edge of the heart with the same great quality and exacting detail of the Colonials logo. "the indicia featured on this product is a protected trademark owned by George Washington University"